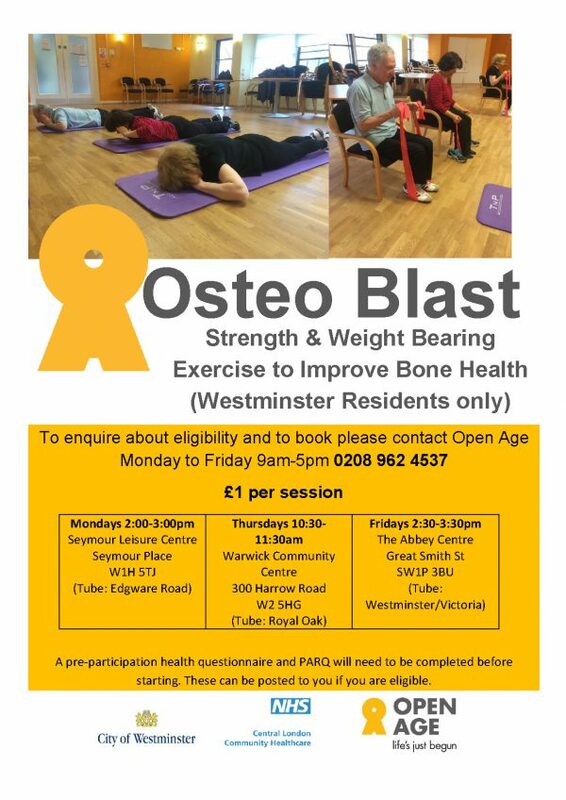 Open Age’s Osteo Blast is an 8 week strengthening and weight bearing exercise programme to improve bone health. You will learn the types of exercises that can improve bone density and how you can improve your lifestyle to minimise fracture risk. 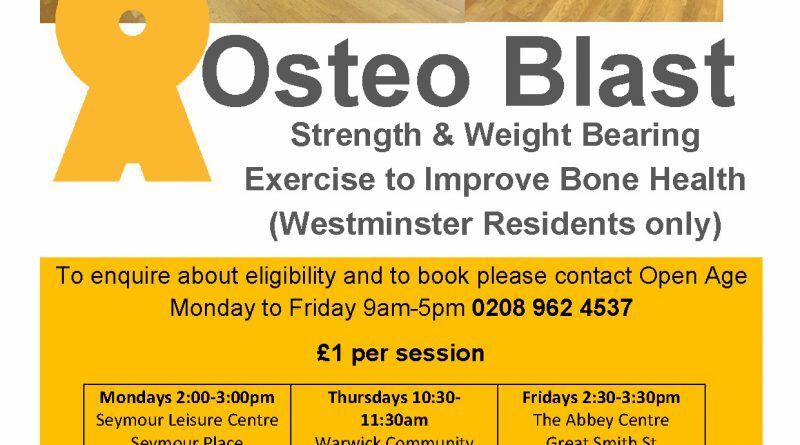 Open Age’s Osteo Blasts programme is suitable for Over 50’s living in Westminster who have/at risk of osteoporosis. This includes: osteopenia, osteoarthritis, family history, recent fracture, and poor lifestyle. There are three classes held across the week to choose from. Class locations are Seymour Leisure Centre, Warwick Community Centre and The Abbey Centre.